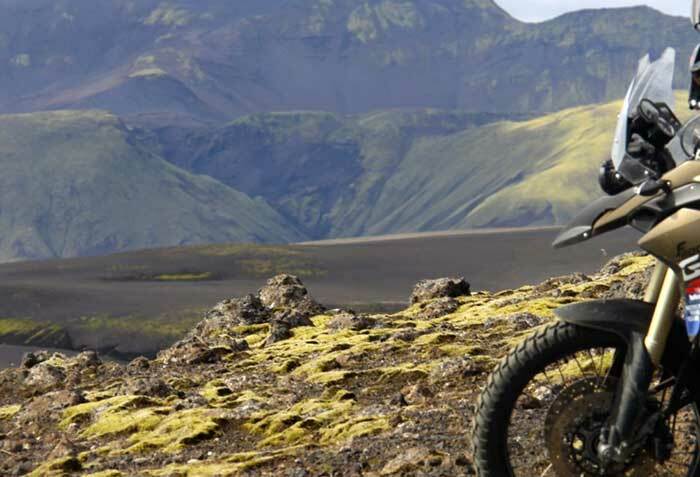 A trip to Iceland is our newest idea to spend an unforgettable motorcycle summer. The expedition is constructed in a similar way to our Spanish Motofiesta. We will fill our base near Reykjavik with a fleet of Yamaha XT660R motorcycles. 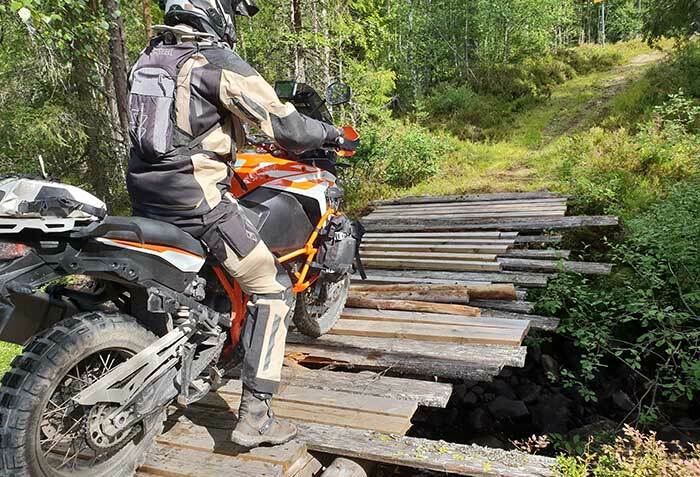 These are very versatile, durable and reliable motorcycles that perform perfectly in the mixed Icelandic conditions. Motorcycles will also be available for rent between tours. We planned two types of the trips - longer, 10 days around the island and shorter, 6 days on the Western Fjords. For organized groups we will be able to prepare the trip according to the reported requirements. 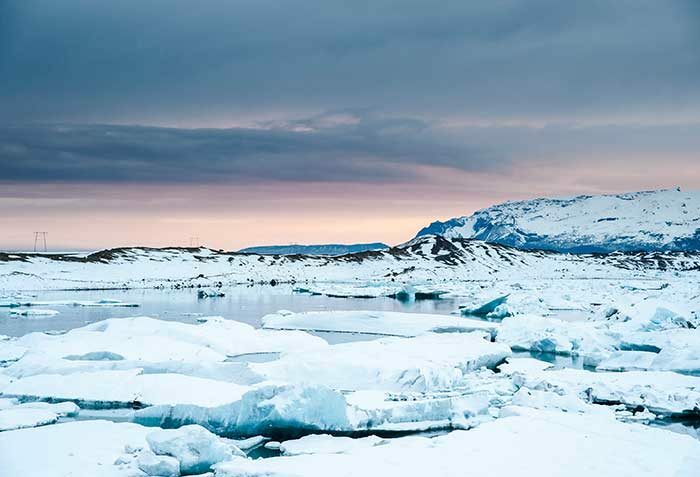 A 10-day trip will be conducted around the island, giving you the opportunity to taste almost every region of Iceland. The total length of the route will be 2000km. About 85% will be on good quality asphalt, while 15% will be gravel roads. The longest gravel section will be along the F35 road through the so-called Interior - the inner part of Iceland. We will then drive around 170km on dirt with one overnight stay on the way. It will be a special night, because we will spend it in tents on one of the best campgrounds in Iceland. Camping has all the necessary amenities. Tents and camping equipment will be transported separately, so you do not have to carry it with you. 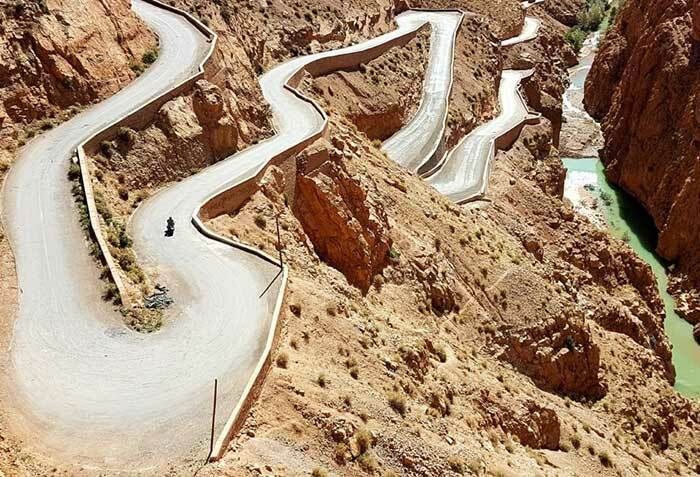 Daily sections during tour will not exceed 250km. An approximate map of the route is located below. During the 6-day trip, we will guide you north of Reykjavik, exploring the Western Fjords. Profile of the route is similar to the longer version - majority of asphalt and a small percentage of gravel roads. The total length of the route is approximately 1400 km. Daily sections do not exceed 250 km. 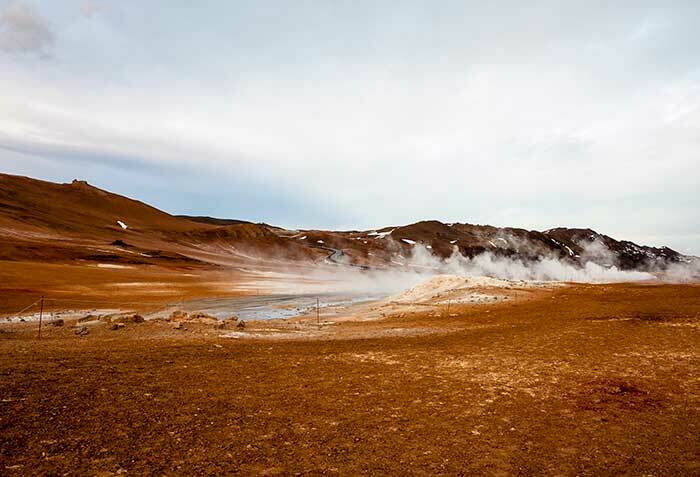 The journey will start after landing in Keflavik, a town located on the picturesque, but very severe Reykjanes Peninsula, near the capital of Iceland, Reykjavík. The first day will be devoted to airport transfer, short acclimatization. We will also repack the luggage and get familiar with bikes. We will prepare for the journey starting the next day. Leaving Reykjavik we will head towards the Snaefellsness Peninsula with the National Park with the same name. There is the famous Snæfellsjokull glacier from the Julius Verne’s books. On the peninsula you can find literally everything that a tourist in Iceland is looking for. There are a lot of unique rock formations, lava fields, beaches where you can find seals, majestic glacier, volcano, caves and geothermal springs. 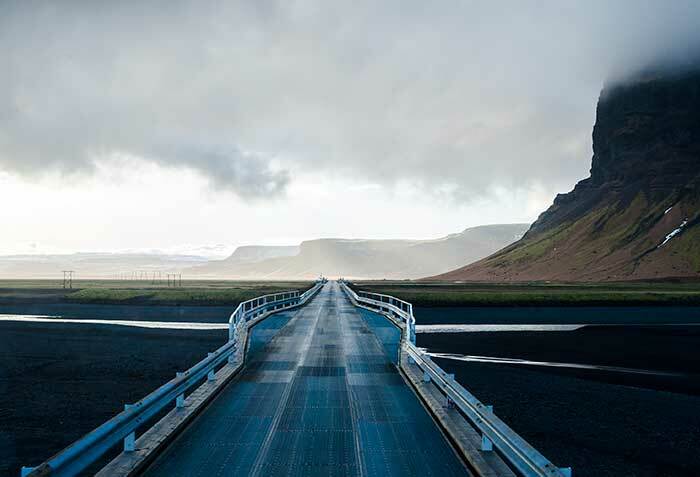 The journey will start with crossing the undersea tunnel, which is located at Hvalfjordur - the Whale Fiord. On the way, we will visit the small town of Borgarnes, to which we can reach one of the longest bridges in Iceland leading through the next fjord - Borgarfjordur. 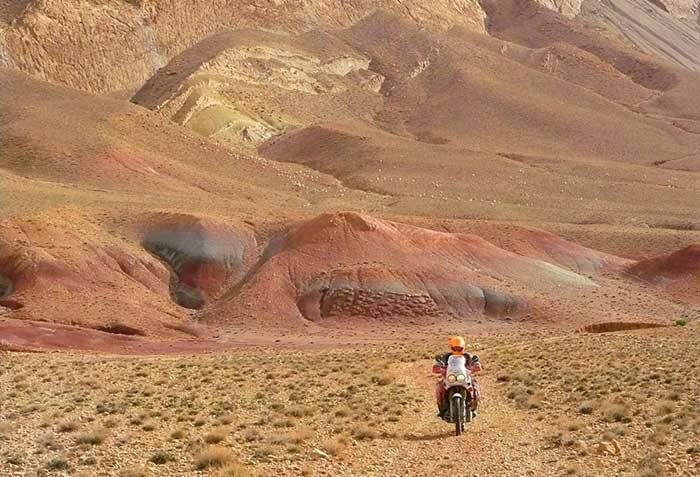 Our route will lead us along the peninsula with magnificent views of mountain ranges and interesting rock formations. We will stop at the spectacular basalt cliff – Gerðuberg. Going further west, we will visit the village of Buðir and Arnarstapi, in which there are many interesting lava formations. In one of these places we will stop for a coffee in a restaurant overlooking the sea. Another place for a short stop will be the Londrangar cliffs, which are unique rock formations. The next stop will be the black beach Djupalonssandur, which is one of the most beautiful black beaches in Iceland. Then we go to the other side of the glacier and reach the small town of Ólafsvik, where we will stay for the night. We will leave picturesque Ólafsvik and go east of the peninsula, riding around the glacier. Along the way, we will pass many interesting vantage points where we will be able to see the Western Fjords. We will stop at the famous Kirkjufell mountain - it is 463 m high and is one of the most photographed mountain in Iceland. We will continue through the fjords that will lead us to the picturesque Berserkjahraun lava field. In its vicinity there is a famous farm with a museum, which is dedicated to a quite exotic delicacy in Iceland - a shark. You can try their specialty called - hákarl, prepared from fermented polar shark meat. The next stop will be in the largest peninsula in Stykkishólmur, where we will stop for lunch and coffee. We enter the cliff with a lighthouse, from which there is a view of the Breiðafjörður fjord and small islets. Leaving the city we will stop at the mountain of wishes, Saint Helga - Helgafell. This mountain was considered a sacred place and there was the first temple of Thor. The journey will take you along a picturesque path deep into the fjord. 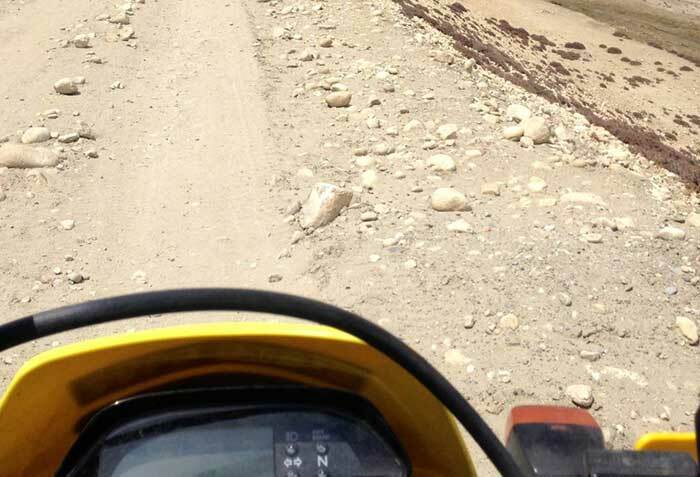 Depending on the weather, we can get to the hotel near Vesturland by gravel or asphalt road. We will set off in the morning heading for the Icelandic Western Fjords. It will be a day full of great views and impressions. We will drive along winding roads along the fjords, having the sea on one side and the mountain on the other. We will stop at Flókalundur, which has its name from the famous Wiking Hrafna - Flóki. He was the first known Viking who came to Iceland and tried to live here. It reached the shore just at Flókalundur, where there is also a small hot spring with geothermal water, where you can relax with a view of the sea. On this day we will reach Breiðavík, where we will stay overnight. From here we will have only a few minutes to the westernmost point in Iceland and in Europe, to Latrabjarg. We will start the day by driving on gravel roads and visiting the Latrabjarg cliffs, which are the westernmost point in Europe. These famous cliffs are a place for observation of sea birds, including puffins. With good visibility from the cliff you can spot the shores of Greenland. We will also stop at beautiful, this time golden beaches and the aviation museum. Then we will stop in many places with great views and rest in a hot spring. Another element of the trip will be the waterfall Dynjandi, which is 100 meters high what makes it the fourth largest waterfall in Iceland. From the waterfall, we will move further to the northern part of the fjords to the village of Þingeyri, where we will spend the night. Leaving the small town of Þingeyri we will head for the largest city in the Western Fjords - to Ísafjörður. Approximately 2,600 people live there. After visiting the town, we will continue our journey winding along the fjords. We will stop at several points for photography and we will reach Hólmavik, a city that is associated with magic and have a themed museum. Today we will spend our day on asphalt and gravel roads. 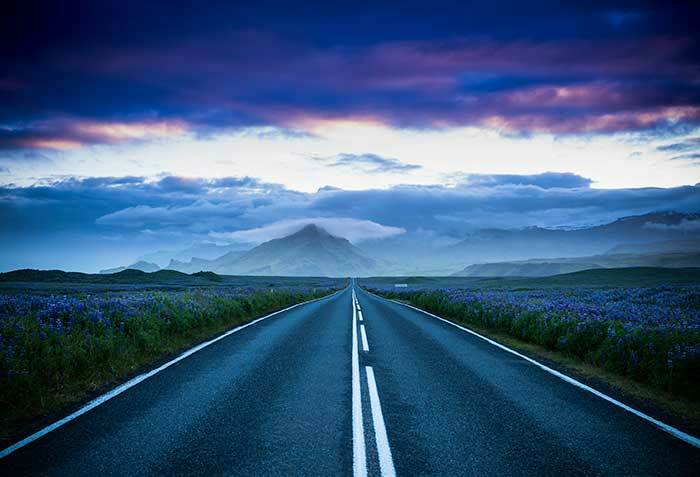 We will follow the Icelandic routes leading from the Western Fjords to the capital of Iceland. On the way to Reykjavik, we will stop at tourist attractions and get to the top of the Grabrok crater. We will also see the picturesque Glanni waterfall. We will go further towards Reykjavik and drive past Deildartunguhver, the largest geothermal source in Europe. We will take a scenic route along the Borgarfjordur fjord and return to base in the evening. A transfer to the airport for a return flight is scheduled for this day.